Wasserman Projects, an interdisciplinary space for art exhibitions and performances, will open in Detroit’s Eastern Market in September. 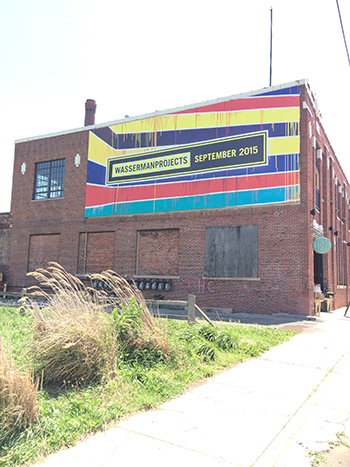 Wasserman Project previously had a gallery space in Birmingham’s Rail District. The new gallery, to be located at 3434 Russell St., will be set in a 100-year-old firehouse in Eastern Market. The main space in the venue, which has exposed brick walls and beams, is about 5,000 square feet. “The largest space (in the venue) is going to be an exhibition chamber concert hall, supported by a gallery function that will show work from the artists who have made the exhibition,” Wasserman says, who adds German artist Markus Linnenbrink will paint the interior. The first exhibition will feature the work of architect Nick Gelpi from Florida International University. Next fall, Belgian artist Koen Vanmechelen will have a permanent exhibit featuring live chickens, which he says will be a statement about human diversity.